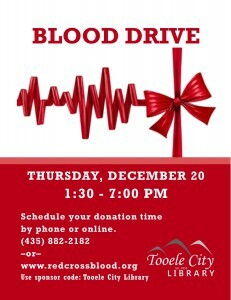 Give blood at Tooele City Library! Reserve your time online at www.redcrossblood.org. Enter sponsor code: Tooele City Library.